DELTA MARINE YACHTS is an American yacht builder world-renowned for delivering high-quality, custom-built luxury yachts measuring up to 328′ (100m) in length. With its pioneering ingenuity, Delta Marine has led the way in composite construction as the innovators behind composite superstructures on large steel yachts. The Seattle-based Delta Marine offers a talented in-house design team of naval architects to apply their expertise to any repair, refit, and production of the custom-built luxury yacht experience. World-class new yacht construction by Delta Marine includes the 240′ (73.2m) LAUREL, the 124′ (37.8m) NITA K, the 179′ (54.8m) SILVER SHALIS and more. As a premier luxury yacht builder, Delta Marine yachts works with the world’s finest interior and exterior designers including Donald Starkey, Jonathan Quinn Barnett, Espinosa Yacht Design and others, to create a yacht with thoughtful precision and detail to the client’s liking. Browse the entire fleet of Delta Marine yachts for sale or find a Delta Marine yacht for charter below. 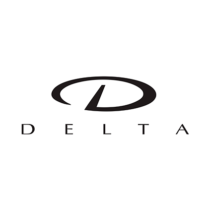 Interested In Delta Marine Yachts? For more information about Delta Marine yachts for sale and your own custom tailored yacht report, or to book a Delta Marine yacht for charter, simply contact the Merle Wood & Associates luxury yacht brokerage firm.